Congratulations! You just completed your teaching job interview. But, you are not done yet. It is essential that you write a thank you letter immediately after. While a thank you note won't get you hired, not sending one could cause you to move further down the potential employee list. A thank you letter is your last chance for the school to learn about you, and why should be chosen for the job. Obviously, you should focus on thanking the person or persons with whom you talked. However, it should also make it clear why you are qualified for the job. It is a good idea to have everything ready for your thank you note before the interview even happens including the address and the stamp. This way, you may make any last minute corrections to e-mail addresses or the spelling of names. Being prepared in this way can also help you be familiar with names in advance. As soon as you can after the interview, sit down and try to recall the questions that were asked. Think about how you answered, and what points you did or may not have included. This letter can be a perfect opportunity to reiterate your educational philosophy in a succinct manner or to clarify any question you think may be necessary. You may want to point out any qualifications that were not mentioned in the interview itself that you feel are important. 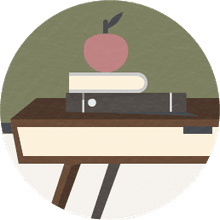 Writing a thank you letter can also help to assuage your concerns that you forgot to mention, for example, your proficiency with technology, or that you are willing to work as a coach after school. All this reflection immediately after the interview is why you should not draft your note in advance. 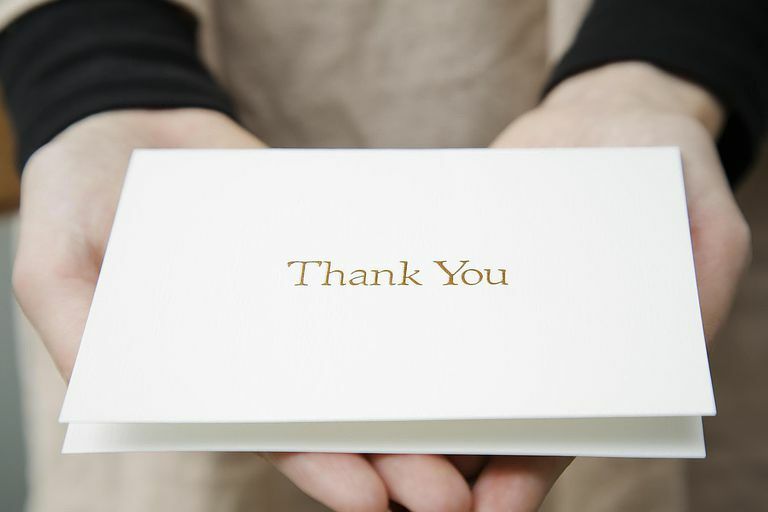 An effective thank you note must be based on what actually happened in the interview. Finally, be sure to send your thank you letter as soon as possible, no later than two business days. Following are some excellent tips and hints that you can use to help you write great thank you letters. In most instances, it is best to type your thank you letter. It is also acceptable to send your letter as an email. This allows the letter to get there quickly. If you were interviewed by more than one person, you should make the effort to write a letter to each person involved. Do check out the format of thank you letters, such as the examples on the Purdue Owl Writing Lab website. Make sure to directly address the interviewer in the greeting of the letter. Never use "To Whom It May Concern." The first paragraph should be dedicated one to thanking the interviewer. Use the second paragraph to talk about your skills. Use the last paragraph to repeat your thanks, and let them know you are looking forward to hearing from them soon. Avoid using a thank you template directly from books or the internet as these can be too generic. You do not want your interviewer to think that you are only sending the thank you because you are "supposed to." Your thank you letter needs to be specific to the job (grade/subject) for which you interviewed. If you say that you are qualified for the job, back it up with a specific reason from your own resume. You can also reiterate points that you made in the interview to back up your claims. This can help the interviewer remember specific aspects of your interview. Keep your tone confident in the letter. Do not mention any weaknesses that you are afraid you might have revealed during the interview. Do not send a gift with your thank you note. This can make you seem desperate and will most probably have the opposite effect of what you hope. Do not put pressure on the interviewer about when you need to hear back by. In almost all cases, you are not in the power position, and this will make you seem pushy. Avoid outright personal flattery in your letter. It is truly important that you carefully proofread your letter. Check spelling and grammar. Make sure that you have the correct spelling of the interviewer. Nothing could be worse than sending an email to someone with their name spelled incorrectly.